In Finland, NC Partnering has launched a new bio-ecosystem called the BioFutureFactory, “a highly fertile growing ground for a multitude of emerging bio-economy projects and applications, and with the added beauty of being a concept that is a perfect example of circular economy”, explains Jukka Kantola, CEO of the Finnish company in a talk with Il Bioeconomista about this new project, which aims at bringing costs of the feedstock down to enable bio-operators to build their operations on sustainable, renewable and economical premises. Mr Kantola, as far as you’re concerned, what is the current status of the bioeconomy? Looking at the current status of the bioeconomy there is an evident need for new approaches. There is still too much of everybody operating within their own silo. There is just not enough constructive interaction between the chemical industry, the forestry industry, and the new biotech companies. There are many reasons for that, and we believe it’s time a look at the setup with new eyes. Traditional companies tend to associate with their established stakeholders. Development work is done within a safe environment with well know parties. Also too often big companies with established industries associate way too little with emerging SMEs, which surely hinders the development of new applications. This is not the way to facilitate development of new bio-businesses and materialise bioeconomy targets. Sectors are not alike. For example in the ICT sector it is already business-as-usual that big and small companies interact with each other as it is in their mutual interest. This has allowed faster paced development and breakthroughs compared to traditional industries. ICT has launched many high profile tools to enhance its progress, like open innovation and Innovation Mill. Such tools are rarely utilised in the traditional sector. But should we not look to learn valuable lessons from them? 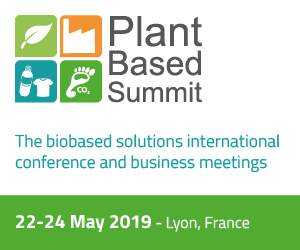 The status quo sees far too few new bio-refineries or bio-based facilities getting beyond the planning stage! NC Partnering has launched a new type of bio-ecosystem called the BioFutureFactory (BFF). What is it exactly? The model is simple. First of all we are shifting focus from primary bio-feedstock to secondary feedstock. This will bring costs of the feedstock down to enable bio-operators to build their operations on sustainable, renewable and economical premises. Secondly, when remembering that new bio-products are not high volume products from the beginning, secondary streams from BFF can easily meet market demand to enhance development of various bio-product applications. Thirdly, external energy is often needed in bio-processes. BFF provides green energy to be exploited by third parties. All this makes the BioFutureFactory a highly fertile growing ground for a multitude of emerging bio-economy projects and applications. Add to that the beauty of the concept being a perfect example of circular economy! How are you planning to develop the project? 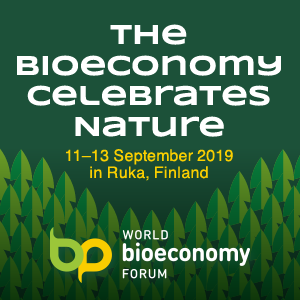 The BFF model will be piloted in connection with the KaiCell Fibers bio-products mill venture in Finland under the banner Paltamo BioFutureFactory or Paltamo BFF. KaiCell Fibers is based on 2,5 Mm3 (≈1 Mton dry feedstock) softwood valorisation, and the primary process is kraft pulping. New products will be cultivated by anchor-operators from the various side-streams that BFF makes available to bio-stakeholders. The respective side-streams are well defined with specifications, volumes and costs. In addition to attracting private enterprises, BFF offers a vibrant test site environment for institutes and research centres. From the very start, we are taking a holistic design approach that ensures seamless symbiosis between primary production, downstream converting and the BioFutureFactory. Please regard this as an open invitation to take an active interest in the Paltamo venture and the BioFutureFactory. 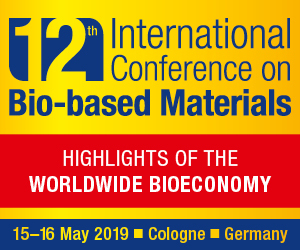 We are aiming to bring together a variety of bio-stakeholders for their mutual benefit, and we welcome expressions of interest and requests for more information.